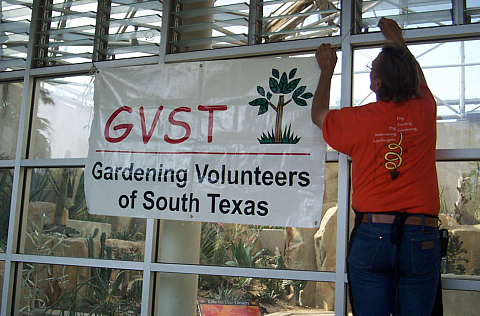 Join Dr. Jerry Parsons, TexasRedWorms, and the Garden Volunteers of South Texas Jan. 23. The Garden Volunteers of South Texas will be hosting their monthly “Essentials of Gardening” from 12:15 – 3 PM tomorrow at the San Antonio Garden Center (3310 N. New Braunfels at Funston, next to the Botanical Garden.) Dr. Jerry Parsons will be speaking first on year round garden planning. I will follow him w/ a worm composting presentation. Admission is free but a $5 donation is encouraged. Come join us! It is wonderful job you have doing. I am also interest to have some earthworm to start to prepare vermi compost for my own garden which I am going to own soon. Me and my friend would like to visit your farm if possible as we are in Irving. I also wonder to know availability of earthworms and it’s price.